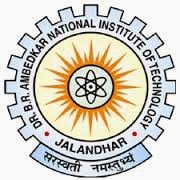 NIT Jalandar Technical Staff Jobs Recruitment 2014: NIT (National Institute of Technology) Jalandhar has published a Notification for Recruitment of 32 Technical Staff, Nurse, Pharamist posts, On Contract basis. NIT Jalandhar Jobs Recruitment the eligible Candidates can attend interview. on 16-01-2014. NIT Jalanshar Technical Staff Jobs Recruitment 2014 Walk interview. Education : The applied and Eligible Candidates Must Complete First Class Bachelors,(B.sc) M.SC Degree in Science or first class Diploma/Degree in Engineering with good academic record. Selection Process : NIT Technical staff Jobs Recruitment the applied candidates will be selected based on performance in interview. How to apply : NIT Technical Staff Jobs Recruitment the applied candidates can attend interview along with Bio-data original certificates and one set of Photocopies of Certificates submit at the time of interview in the committee Room of the Institute On 16-01-2014.